Welcome to the web site of the national Pacific Islander & Asian American Ministries (PAAM) of the United Church of Christ. We are a ministry of the United Church of Christ established in 1974 to address the issues of Pacific Islanders and Asian Americans within our denomination and our communities. 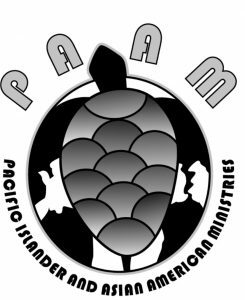 PAAM reaches across 6 regions of the United States and Hawaii and is comprised of churches that are mainly Japanese, Chinese, Hawaiian, Filipino, and Samoan. We also include Marshallese, Tonga, Chuukese, Micronesians and East Indian. You are invited to visit the pages of the individual regions as they are updated often. You will find many interesting event and activities that might interest you.